Prefab houses are built in sections at a factory location and then transported and assembled together on your property to create your dream home here in Mooresville, NC. If you’ve ever watched someone you know go through the process of building a home, you know that it can be a stressful, lengthy, exhausting and expensive process. In the end, though, the buyer is left with a customized home of their dreams. What if we told you that with our help, you could have your own beautiful home without the headaches and for a fraction of the price? Does it sound too good to be true? Well, hold on to your socks because they’re about to be knocked off! Here at 1st Choice Home Centers, our prefab houses can help you get the home of your dreams for the budget of today. Prefab houses are homes that are built in sections at a factory location and then transported and assembled together on your property to create your dream home here in Mooresville, NC. Because of the constant factory temperatures, you never need to worry about the weather delaying your construction timeline and needing to pay workers overtime when the weather cooperates. Additionally, you don’t need to worry about break-ins, theft of construction materials, or vagrants taking up residence in your unfinished residence. You simply can’t get any more turn-key ready than you will be with one of our prefab houses! 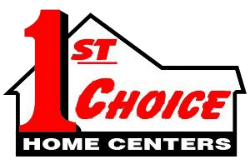 While you might worry that your home will end up manufactured in cookie-cutter fashion, here at 1st Choice Home Centers, we want to assure you that your home can be as customized as you’d like! From different floorplans to select upgrades, garages, porches, even the materials that are used, your quality prefab house will truly feel like home once you step inside. If you would like to know more about prefab houses, please don’t hesitate to contact us today here at 1st Choice Home Centers.